A military guy on twitter, Rodney, hooked me up with quite a deal for the Byron Buxton I pulled from Bowman Sterling! Here is the loot! First up, some TEXANS and NASA! 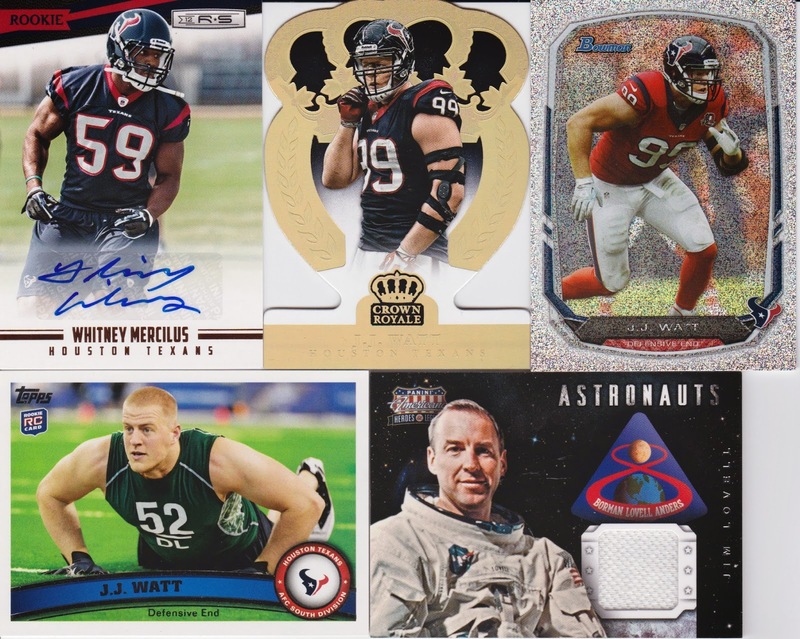 The Mercilus is out of /399! While the Gold die cut Watt is out of just /25!!!! Gotta love that Lovell relic, although I do already have a copy so if anyone is interested in trading for this one, let me know!!! Springer on the top row! 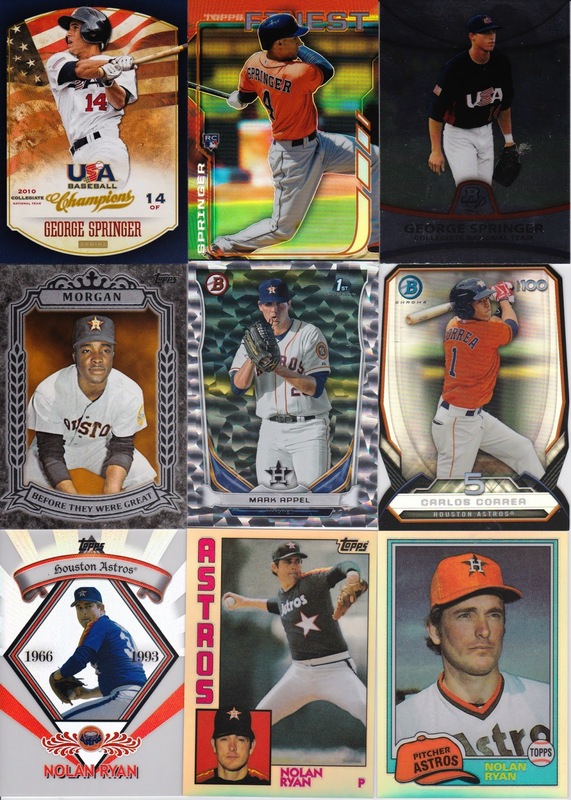 Morgan, Appel and Correa /99 in the middle and then some shiny Nolan Ryan on the bottom! Finally, the meat of the deal! MORE SHINY STUFF!!!! Three awesome Bowman Chrome Astros prospect autos! Nottingham and Martin are very low level guys right now, but Preston Tucker has shot up the ranks and may find himself at AAA Fresno (I think that's where our AAA affiliate is these days) this year. 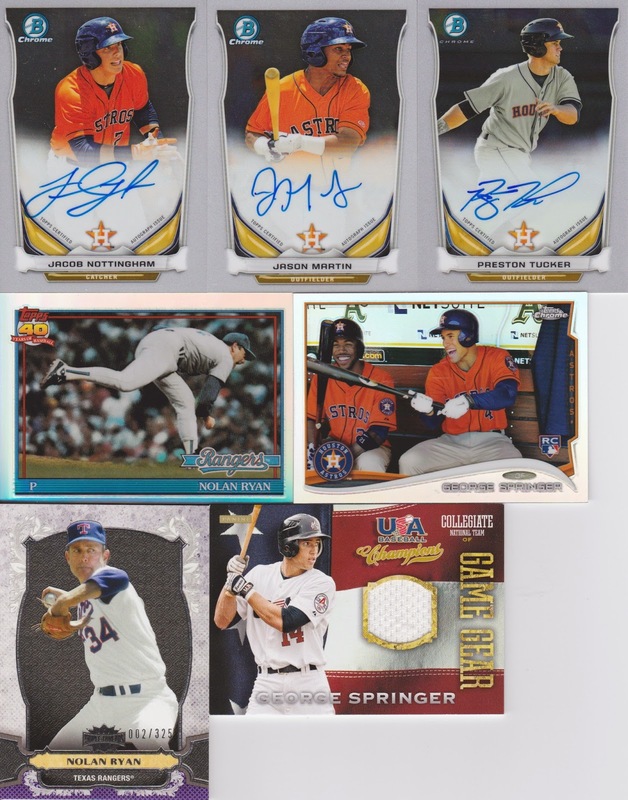 Another couple of Nolan shiny cards and then more Springer love. This is quite a haul for a single card. Some people may think I should have gone for more but I think it's a pretty fair deal based on the prices I saw on the Buxton auto on eBay. Thanks Rodney, hope you enjoy the Buxton! One Heck of a Secret Santa! Black Friday Shopping - Card Style!